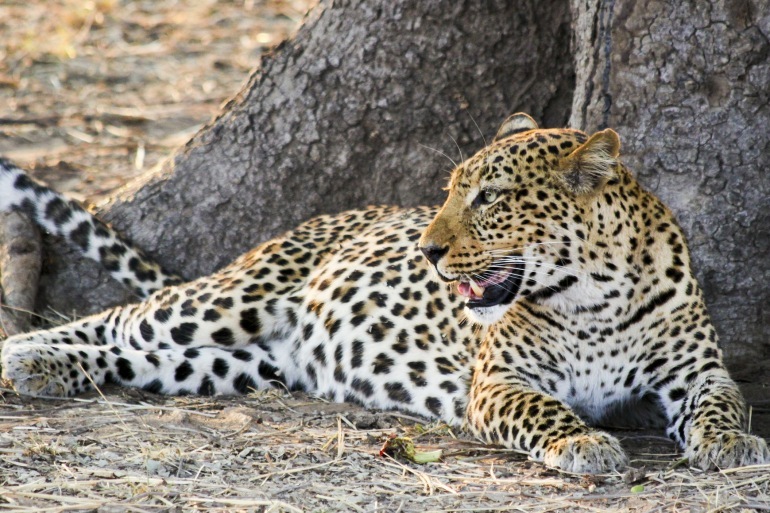 An overland safari which will take you through the diverse landscapes of southern Africa. From the barren desert to the cold Atlantic coastline, from thriving game parks to wild savannah and the roaring Victoria Falls. We begin our tour with a fascinating tour of Cape Town’s townships and a traditional lunch before travelling north through the citrus area of the Western Cape to semi-desert of Namaqualand and our camp on the banks of the Gariep (Orange) River. Crossing into Namibia, our first stop in the country is at the dramatic Fish River Canyon – in some places 500m deep and over 160km long, this almost rivals the Grand Canyon for its breathtaking views. Continuing north, travelling through some very barren but extremely scenic areas, we arrive at the Namib Naukluft Park. The Namib is the world’s oldest desert and home to the world’s highest sand dunes (up to 300m). We climb to the top for a panoramic view of sunrise over the vast sea of sand. We continue to Solitaire then on to Swakopmund, a coastal resort town sandwiched between the desert and the ocean. Relax in one of the town’s many cafes or enjoy one of the thrilling adventure sports on offer, from deep sea fishing to skydiving and sand-boarding! We skirt the northern reaches of the Kalahari Desert and join local Bushmen for a desert walk before continuing to Maun, gateway to the Okavango Delta. Here we explore amongst the giant lily pads, tall grasses and labyrinthine channels in search of hippo, crocodile and a variety of birds. We travel on foot and by mokoro (dugout canoe) and stay at our tented camp for a night on one of the river islands. The Okavango is a very unspoilt area and spending time out amidst the wilderness and the rivers listening to sounds of the African night is an unforgettable experience! We turn towards the northern corner of Botswana, stopping at Elephant Sands, Nata en route. Chobe National Park is home to some of the largest elephant populations anywhere in Africa as well as lion and abundant birdlife. We take an afternoon Fish Eagle Cruise in search of elephant and hippo. From Chobe, we cross into Zambia and drive to our relaxing riverside camp in Livingstone. Why not try one of the many optional activities around Victoria Falls, including white water rafting, canoeing, bungy jumping, horse riding or a scenic flight over the Falls to name but a few. We also visit the ‘Falls’ themselves. The tour ends after breakfast on day 19.